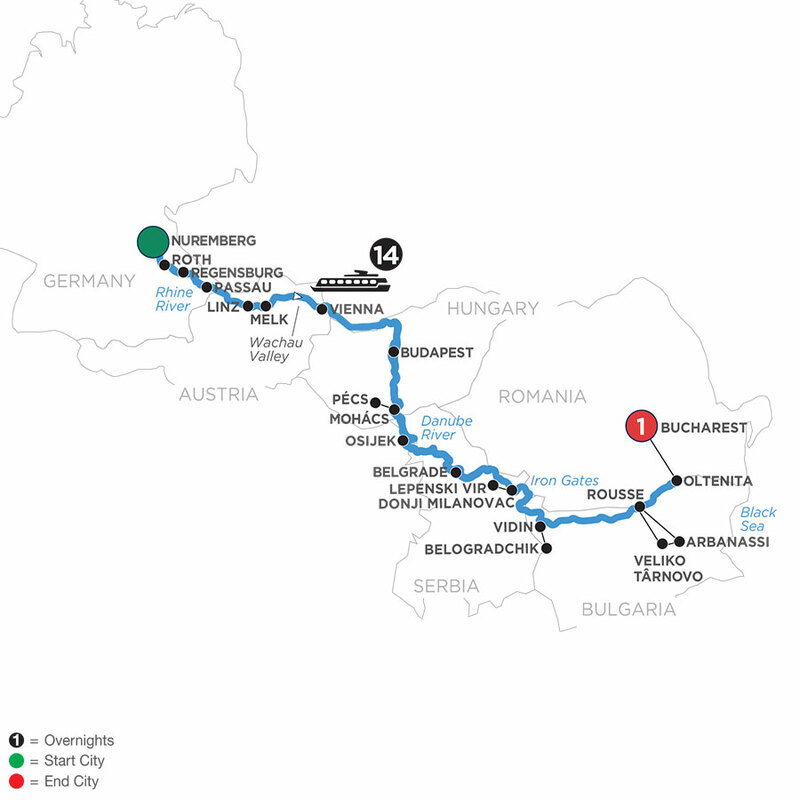 Explore the best river views of Germany, Austria, and Hungary to explore the splendors of Europe’s history and beauty on the Danube. Board you Suite Ship® in Nuremberg and cruise to the German town of Roth. Enjoy guided sightseeing of the Bavarian town’s timbered houses and Schloss Ratibor hunting lodge, built in 1535. Or, take an excursion to tour Nuremberg’s historic sites, including Kaiserburg Castle or the Nuremberg Rally Grounds. Enjoy sightseeing in Regensburg to see the 179 AD entrance to Castra Regina fortress, and a guided walk through the “City of Three Rivers”—Passau—before sailing to the lovely Austrian city of Linz. Cruise to Melk to tour the magnificent Benedictine Abbey or hike the hillsides above the Wachau Valley. On to Vienna, “The City of Music,” to explore the historic Habsburg Empire—including the Imperial Palace, Vienna Opera House, and St. Stephen’s Cathedral. 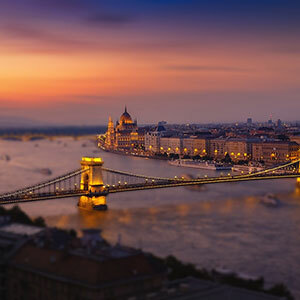 Your Central European river cruise continues to Budapest—the “Pearl of the Danube,” with its iconic Heroes Square and spectacular architecture, thermal baths, and vibrant night life.